Youth leaders from communities in Bori Khana local government area have warned Robo Michael Limited, Mr. Prince Biira, Bari-ala Kpalap and their collaborators against causing trouble in Ogoniland. Spokespersons for the groups Comr. Dum B. Doole and Comr. 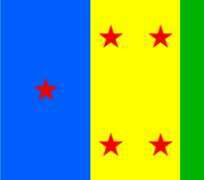 S.K Bagha representing Bori communities said "We witnessed the MOSOP elections yesterday, the Police was there at the MOSOP office in Boro to monitor the elections. What Mr Biira and Kpalap wants to do is to cause trouble in Bori and we will not accept that." The spokespersons for the youths advised Mr. Biira to take Robo Michael and all the trouble they plan to Kaani his hometown and leave the Bori communities alone. The youths also called on the Nigeria Police not to be partisan in keeping the peace in Bori. "We want the Police to chase away Biira and his trouble makers and not allow them cause crises in our home and if they fail to do so, we will ensure that Biira does not cause any trouble in Bori, Biira should take his trouble and Robo Michael to Kaani,, his home town" they said.